Customer acquisition is one of the most expensive and time-consuming aspects of running a business. You’ve got to convince cold prospects they have a problem — a problem that you alone can solve. And you have to make this sales pitch stand out among the 10,000-plus other marketing messages your target audience is exposed to on a daily basis. This is why many businesses prefer to continue building relationships with existing customers. These users already have been converted. And it’s easier, cheaper and faster to convince them to buy again — rather than trying to drum up new leads. With the right approach, it’s possible to leverage these existing relationships and transform customers into salespeople. In fact, this strategy can actually generate higher conversions than your in-house sales team can — all for a fraction of the cost. Popularized by Robert Cialdini, social proof is a psychological concept that guides many of our actions — from where we eat to how we dress to what we believe. It’s an evolutionary shortcut that allows us to make quick decisions whenever we’re overloaded with too much information. If everyone is running down the street in a panic, you don’t need to stop and assess the situation. You simply start running in the same direction as everyone else. If you see an empty restaurant, you’ll be less inclined to stop for a bite. The food might be delicious, but it’s clearly empty for a reason. If a new book sells a gazillion copies in one month, it must be pretty good — and you’re far more likely to pick up your copy as a result. These are examples of social proof. Rather than weigh all the options and do your own research, you can rely on the wisdom of the crowd instead. Social proof can also work at a personal level, like with product recommendations or doctor referrals from a trusted friend. Suggestions from within your network can often be far more compelling than slick brochures or catchy jingles. As an added bonus, the referrer also feels better — both about herself and the company or product she’s recommending. This is because providing value to others allows us to claim “partial” ownership in the positive experiences they receive. As a business owner, you can tap into this powerful psychological concept. If your existing customers aren’t happy with your products and services, none of the following suggestions will work. They may even backfire. So, it’s imperative that you shore up your offerings, communicate with your users, and invest time building strong relationships. Once you can consistently maintain high customer satisfaction rates, you can begin using the tips below to transform happy users into eager salespeople. The easiest way to generate referrals is to simply ask for them. Yet, many businesses completely overlook this option. Don’t make the same mistake. In all of your correspondence with customers, invite them to recommend your business to friends and family. You can even use email forms and referral buttons to reduce friction and make the process easier. Another referral strategy is to offer rewards or discounts for friends and family members. If an existing customer refers a new one, for example, maybe they both get 10 percent off their next purchase. This tactic can be particularly effective if the reward is some type of branded merchandise, such as a mug, tote bag or T-shirt with your logo. These items can continue to “sell” your business wherever they go. Consider inviting your repeat customers to share their experiences in a short survey. 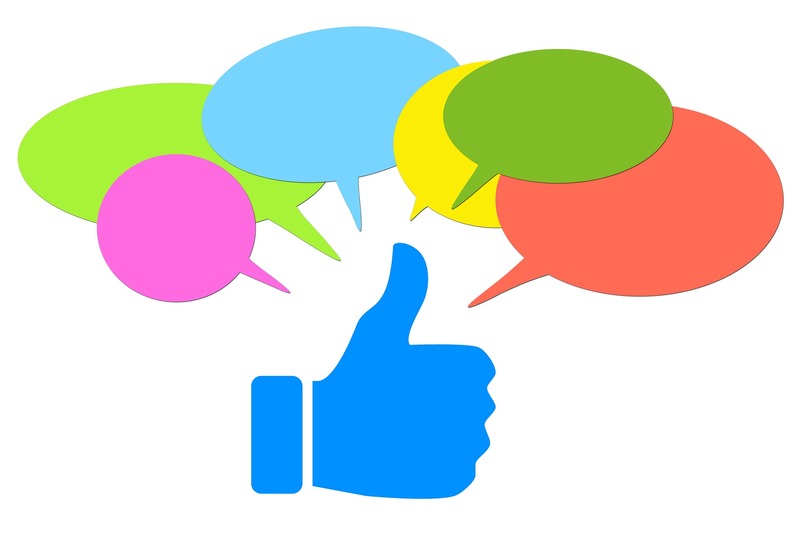 With their permission, you can use these glowing reviews as testimonials on your website. If you can get photos of these reviewers, that’s even better. Pictures of actual faces can increase conversion rates by up to 20 percent. If you run a B2B website, you can add logos of some of your most recognizable clients. This is a kind of passive social proof that doesn’t require any direct input from your current customers. The mere presence of these logos sends a clear message that you must know what you’re doing. Why else would these established players do business with you? With the right plugin, you can add social sharing buttons to your website. Whenever customers see an article they really like, all they have to do is click the Facebook or Twitter icon — and that article is instantly added to their social feed for others to see. This works even if the visitor isn’t a customer. Maybe he/she just stumbled on your site after a Google search. It doesn’t matter. Everyone in that social network will get the message regardless. How Much Are You Paying Your Sales Team? Maintaining an in-house sales team can be expensive. But with the exception of branded merchandise, most of the suggestions above are free. As a result, the potential ROI of these sales strategies is huge. So, give these tips a try and let your customers do the talking for you.